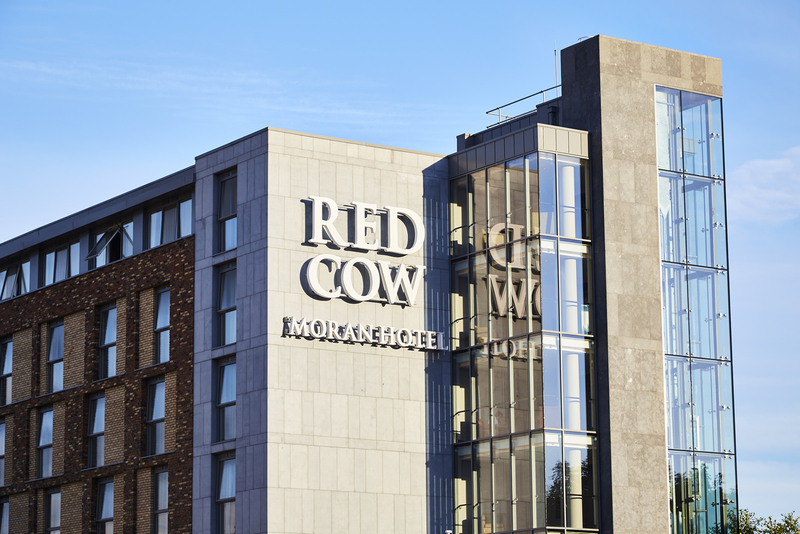 The Red Cow Moran Hotel is one of the best located Hotels in Dublin just off the M50 and N7, the Red Cow Moran Hotel is accessible from all parts of the country, in addition to Dublin City Centre, Dublin Airport and Heuston and Connolly train stations. The Hotel is near the Red Cow roundabout. Parking is available for a daily fee. Its accessible location also makes it an ideal base from which to visit Dublin's many tourist attractions including Trinity College, Kilmainham Jail, Grafton Street and the Guinness Storehouse to name but a few. I thought charging guests for the car park was a bit excessive especially when you are staying in the hotel. Nice hotel, good breakfast a bit far out though. Firstly the good - Excellent staff, rooms, service and location for Luas. Couldn't fault any of those. Stayed in the new extension and it was beautiful. Now the bad - €8 per night for parking. Stayed last year and it was free so this came as a shock. Also €5 charged for a scoop of mashed potatoes instead of chips. Finally, I contacted the hotel a few days in advance to see if any band was playing in the hotel during the stay. We were told a band called Rufus would be in the main lounge; no band. Overall I would say the hotel is a lovely place to stay with customer focused staff but the €21 additional charges for a resident would make me think twice about returning. The new extension will be payed off in no time with these add-ons! Fantastic hotel. Lovely rooms. Lovely staff. Rooms appeared almost sound proof. 5 mins walk from luas. Only negative bar food only mediocre, but was very busy Saturday evening. Will definitely be back. Lovely hotel, but think its a bit much to have to pay for parking when you are a guest. This was my 2nd visit in three months. The hotel,food and staff were all great just as they were on my previous visit. I have dropped a star for this review as I was very disappointed that since my last visit parking charges had been introduced. It was not so much the cost but the lack of information around it. On arrival I was neither asked if I had parked a car or advised that even residents would have to pay. On departure I handed in my parking ticket thinking that it would be validated free of charge. The receptionist handed it back to me and said I had to pay it at the machine in the lobby. She then went on to say had I given it to her at check in that I would have received a concession. Any hotel that I have stayed in tickets were validated on check out, this was all new to me. It was disappointing that the concession was not given to me seeing that it is a new process. Other people were also surprised by this. Absolutely gorgeous hotel. Excellent hotel close to the Dart stop for ease of travel into Dublin. The hotel is beautifully decorated and clean and bright. Our room had everything we needed including good coffee - a must in my eyes. Breakfast was amazing - everything from health shots to a full Irish fry was available - all made with delicious high quality ingredients. I can't wait to visit again in the not so distant future. Great location, nice clean room, great breakfast. Friendly staff. Stayed here night before our trip to Zoo.. so ideal..we got a family room. Be aware there is a parking charge of €10 per night which you can get at a discounted rate of €8 per night, if staying in the hotel which we were not informed of on checkin, so the lady on reception the next day couldn't give us the discounted rate as you are supposed to mention on check in that you have a car!!!!! We were not asked by the gentleman on checkin??!! Apart from that I would recommend. ps we didn't have dinner in restaurant but it looks fab. Room on the West Wing was fantastic. Breakfast was well laid out and plenty of choice available. Not a fan of Charged Car Parking in a hotel environment. We thoroughly enjoyed our stay at the Red Cow Hotel.Everything about the Hotel is top class.Our bedroom was very comfortable and beautifully furnished.There was a great buzz about and we had an excellent meal in the steakhouse.The selection of dishes for breakfast was fantastic and the staff were all very friendly and efficient.We will be back !! Stayed over for one night Hotel lobby very clean. Staff friendly and helpful bed was very comfortable and we had a lovely breakfast with plenty of food available . We went here for 2 nights last weekend. Really enjoyed our stay. A lovely hotel with very friendly staff. Also very wheelchair friendly. Will definitely stay here again. A lovely hotel. The bar food was nice and the breakfast was a big hit with the kids. They loved the pancakes. Our room was spacious, clean and very comfortable. The only negative thing I have to say is that the evening bar staff were extremely poor. they had no system for taking orders and were incredibly slow at getting drinks ready. All in all we had a lovely stay. Enjoyed our stay again at this hotel, family room nice and big, bar food was good but I would have liked a bit more choice on the menu. Breakfast itself was very good but the self service areas could be improved there was a lot of congestion around the tea/coffee area which is located beside the entrance to the seating area. Overall our stay was lovely and we'll be back. Beautiful room. Great service. Excellent breakfast. Stayed here just after Christmas. Overall very pleased with the value this hotel offered, used it as a base for doing activities in town and on the outskirts of the city. Luas stop very near but didnt use its as not a fan of the red line at night but would have saved trying to find parking in the city so would consider it next time. Bar food was just OK, nothing amazing. Would have preferred to eat in the restaurant but they were only offering a three or four course set menu which I wasn't hungry enough for. Breakfast was fine also (except the pudding which I should have complained about at the time as it was horrible). Adequate selection of hot and cold food. Rooms spacious and very clean, bathroom very big. Location of this hotel as a base is excellent and overall for the price we paid it was a bargain and would stay there again no problem. Dundrum shopping centre just 10 mins away, City West Conference Centre less than that, city centre 15 mins by car. Not for you if you want to lounge around the hotel but for a city break (with transport) its perfect. Really enjoyed our stay. We were upgraded to a new room and it was fantastic. We had food and drinks in the bar and the atmosphere was cosy and warm. The food was amazing. Will look forward to going back when they open their new restaurant. great location. lovely rooms and nice breakfast only downside was tea was cold but waitress happily bought us a fresh pot. From check in to check out everything was perfect. Friendly staff, lovely rooms with really comfy beds and will be even better when renovations are finished. Food not grt .poor service. Room was lovely but had to much noise next door to me didn't get to sleep till after 5 in morning had to call to reception to send someone up to tell them keep noise down . place is a construction site but room was lovely, breakfast plentiful. Very clean and spacious family room. Only fault was that there should be a limit on window openings or latch that does not allow children to open window. Breakfast was lovely and tasty and arrived hot to the table. Staff friendly, rooms clean and well serviced but the restaurant was a disappointment. Dinner was not good. there were flies in the restaurant, streak was not very good, couldn't even finish it and the curry was stew. Food order were astray. We were there at the start of service and options on menu were not available. Breakfast was fine. There was a make your own tiny pancakes machine which the kids enjoyed and they said the pancakes tasted nice. Overall fine but do not think we would be booking again. Have stayed here before and was very happy with the hotel and staff. Room very comfortable staff extremely friendly and helpful had great stay would recommend. First time staying in the Red Cow Hotel for our annual trip to the zoo. There were 2 families booking in and the hotel put our rooms side by side as requested and were an absolute pleasure to speak to before our arrival. The hotel is just beautiful, extremely friendly staff on reception, in the bar and especially in the restaurant. We were very well looked after at all times. Both dinner and breakfast was absolutely superb, and the rooms were very nice, and more spacious than any other family rooms we have stayed in, in the past. We did not want to leave the next day, and all 8 of us cannot wait to return again!! Really enjoyed our one night stay. Room was spotless and comfortable. Air conditioning was on when we arrived so room was nice and cool. Staff very friendly and helpful. Beautiful breakfast. Even though there is a building site right outside there was no noise until after breakfast. Second time staying and would definitely stay again. All good, but wasn't impressed with the food in restaurant. Was very pleasantly surprised with the quality of rooms, food, service etc at this hotel, would highly recommend it. Excellent location, very helpful and friendly staff, dinner in the Winter Garden was fab, we slept great. Could you ask for anything more, I don't think so. A terrific break away. Group of 4 adults and 4 children. Stayed for 1 night in apri 2016. Cannot fault anything! Spacious, clean family rooms, free parking, child-friendly staff and a good breakfast. Amazing value for the price ! Very convenient location for the M50 and the luas. The kids had fun making pancakes for breakfast and wanted to stay another night ! 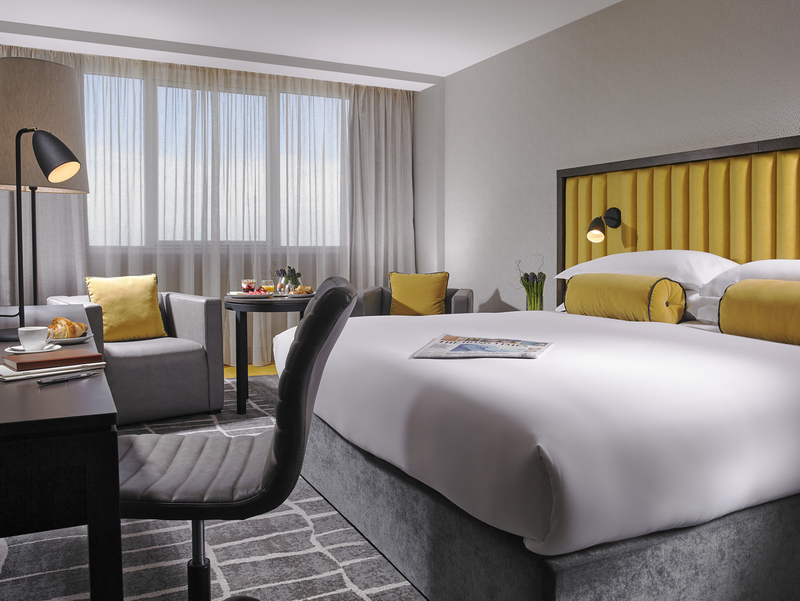 A great surprise, my image of this hotel was not great prior to my visit, but I was mistaken, lovely rooms, that have been recently refurbished, and breakfast was great with a wide variety to suit all. The only thing that left the hotel down was no cups for tea and coffee during registration while attending a conference, when they were finally got after asking several members of staff the Tea and Coffee ran out, while on our scheduled break, no tea and coffee was available and people had to wait 10 minutes for staff to bring it, all in all a great hotel to stay in but not so sure about it being an event/conference location. We had been traveling for a few days in the UK and were tired and cranky on arrival. Our room was magnificent with great attention to detail. Breakfast was a heartwarming experience, the food, the choices, kindness and excellent service from the highly trained and experienced staff. 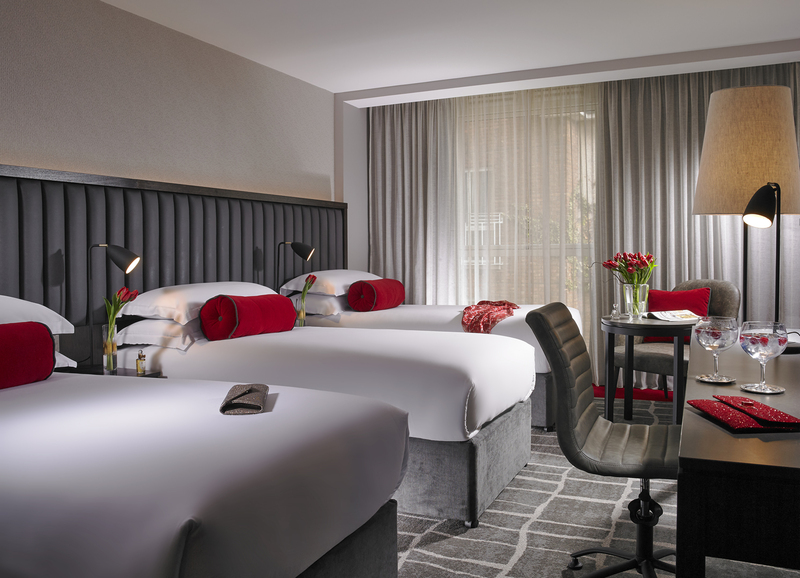 It's now firmly at the top of our list for hotels in Dublin. It was perfect in every respect and is a credit to all concerned. We had a great stay, got the luas into the Adele concert, very convenient. Clean hotel, food in the bar was tasty.. Breakfast was very nice. We found the bar staff very slow, no sense of urgency about serving you. The Red Cow Moran Hotel was great.They were very accommodating as I wanted three Adults in the family room.The staff were great all over especially Mansur in the restaurant he was so helpful and courteous just an excellent person.I would highly recommend this hotel. If you want a good nights sleep red cow moran hotel is not the place to come. Exteremely noisy both inside and out even at 3.30 am.